Hi Friends. I was overwhelmed with the kind of response I received to the previous blog Understanding RBI Policy and different rates: Part 1. You can read the Part 1 of the blog Here. 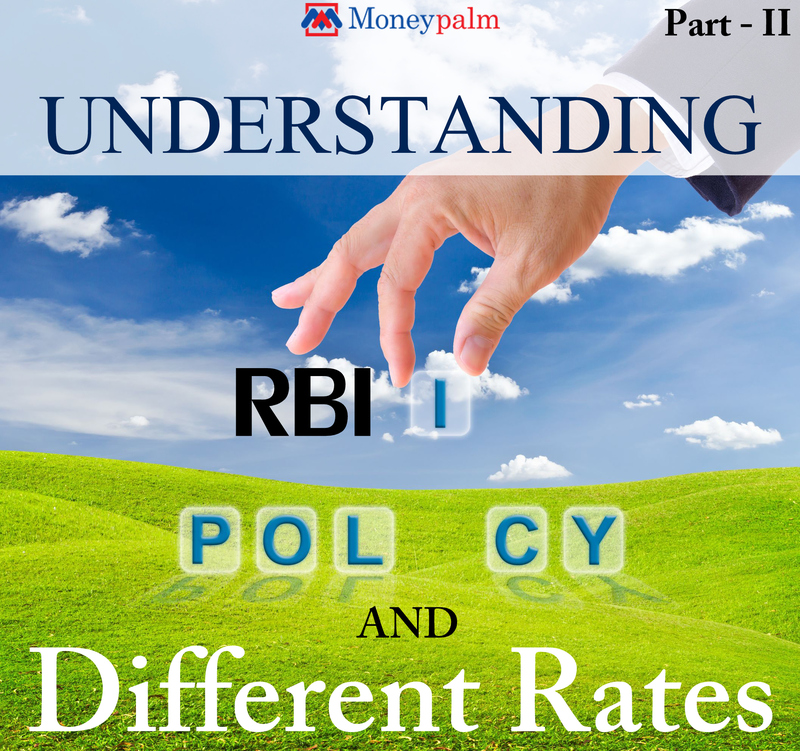 In the previous blog we tried to understand the RBI Policy and different rates that are extensively used in the policy reviews. Continuing further, today we will learn how Repo Rate or Cash Reserve Ratio (CRR) impacts the Consumer, the Stock Market and the Economy as a whole. An increase in CRR or Repo Rate will make the Housing loan, car loan and other types of loans more expensive for the end consumer. Any change in rate is in most cases passed on to the end consumer. Also any cut in the Repo Rate or decrease in CRR will help you in getting a cheaper loan from banks or financial institutions. More than consumer, it’s the industry and business houses which are hit by an increase in CRR or Repo Rate as the companies are mostly run on credit, even slightest increase in rates means heavier interest outflows which result in lower profits. Also, an increase in CRR will mean decrease of liquidity in the system and thus the companies will not be able to take as much loan as they would require. Third problem that arises is, in an event when the companies try to pass on the burden of increased interest rates to the end consumer, the demand tends to decrease. This further dents the balance sheets of companies. All the above events will not only hamper the overall growth of the economy. On the contrary, any decrease in Repo Rate or CRR will have a positive impact on the industry and economic growth. Any hike in the Repo Rate and CRR hike will reduce the growth and the availability of money in the system. This leads to reduced purchasing power of the people which in turn will lead to a decrease in the demand. This situation will help in reducing the overall inflation. On the other hand any Rate Cut will lead to increased inflation. Now let’s understand the impact of CRR and Repo Rate on the Stock Markets. I know, you all have been waiting to read this, so knowingly took this at the end. Now this is a little tricky, but does not mean difficult. If any increase in the CRR or Repo Rate is as per the expectations of the market forces like the companies and investors, then the stock markets do not react majorly to it and remain neutral. But if it does not matches the market expectations then we see a considerable move on either side. For understanding purpose, if CRR or Repo Rate increase beyond market expectations, Markets tend to fall. If CRR or Repo Rate decrease beyond market expectations, markets tend to rise. If the market forces estimated that Reserve Bank of India or RBI will hike the rates by 25 basis points because of in the previous month, but RBI increases the rate by 50 basis points citing bad monsoons, the Nifty and Sensex will negatively react to it. I hope, now the whole concept of RBI Policy and the impact of rate changes is clear to you. If you seek deeper understanding on the subject, do let me know and I will take up more and more examples to simplify it further. Also I would advise you to read the art one of the blog Understanding RBI Policy and different rates here. Thanks again everyone for your constant support.